You’ve got to respect the Marvel machine. Now backed by Disney, they know how to take synergy to new heights. They’ve had us talking about the Black Panther character for over a year, casting Chadwick Boseman for the big screen adaptation and hiring Ta-Nehisi Coates to write the newest comic book run. But more important than the hype is the delivery. And Marvel continues to exceed expectations. Captain America: Civil War was a risk of a movie. Bringing in so many characters and attempting to tell as much story as they did could have ended disastrously (*cough*Age of Ultron*cough*). But instead, the film soared. The subtext was handled delicately. Acting was solid. Cinematic quality was stunning. They even made the Scarlet Witch a more likeable and understandably powerful member of the team. Still most awe-inspiring was the film’s ability to catch us by surprise, no easy feat in a world where superhero flicks have become commonplace. So how is it that amongst all of that and the seamlessly choreographed fight scenes did Chadwick Boseman’s Black Panther stand out? Quite simply, he gave a faithful portrayal of the character. As an African prince of the world’s richest nation, Boseman was regal yet sharp and intimidating. While not taking up much of the screen time, he had context, subtext, and texture. 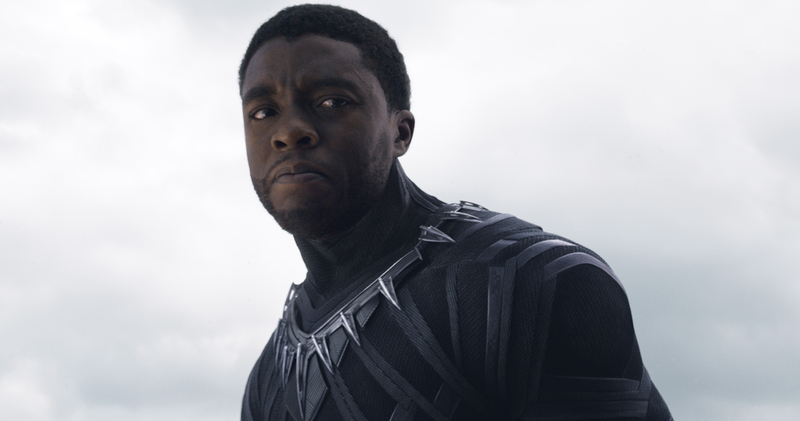 Superhero movies aren’t synonymous with top-tier acting, but Boseman showed out here. When he felt pain, we felt pain. When he sought justice, we sought justice. And when we finally got a glimpse of his country of Wakanda, the time between now and the release of his Black Panther movie became entirely too long. The most ironic thing about all of this is that many speculated that the sheer number of heroes included in the film would steal the spotlight from its namesake Captain America. Some thought Spider-Man’s entrance would be all folks would be talking about. But in the end, Boseman’s Black Panther rose to be the most intriguing and stunning on screen. If you happen to be one of the few that has not seen Captain America: Civil War yet (probably because you wanted to avoid the crowds), go. You will thoroughly enjoy the action scenes. You will laugh. And most importantly, you will be witnessing the dawning of one of the most important (and blackest) superhero films ever created.